Happy Holidays from the Nelsons in Utah! Our blessings just keep multiplying each year. We have added much to our gratitude list and want to share the math of the Nelson’s 2013 year (get out your calculators). We lost our beloved dog Sadie after she was run over by a car (minus one pet) but a few weeks later received the miracle of another dog (plus one pet) named Scout. The first thing our new dog did when we brought her home was to walk over to the corner of our backyard and lay down on Sadie’s grave. Statistically speaking, quite improbable. A common denominator is two medical assistants in the Nelson family careers. Kathryn (middle, below) finished her degree and passed the national certification and loves her work in a dermatology office. 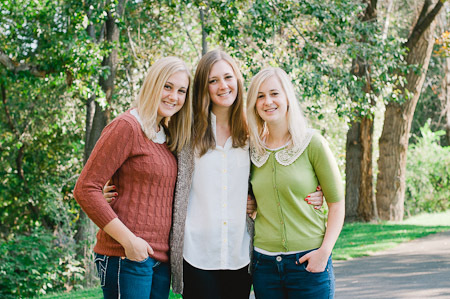 Rachel (left, below) began the same program and straddles morning classes at Orem High School and afternoon classes at the medical assisting college. Rachel multiplied her happiness and added another country to her travels as she earned the money to serve in an Ecuadorian orphanage for two weeks in June. . It was an infinitely life-altering experience. 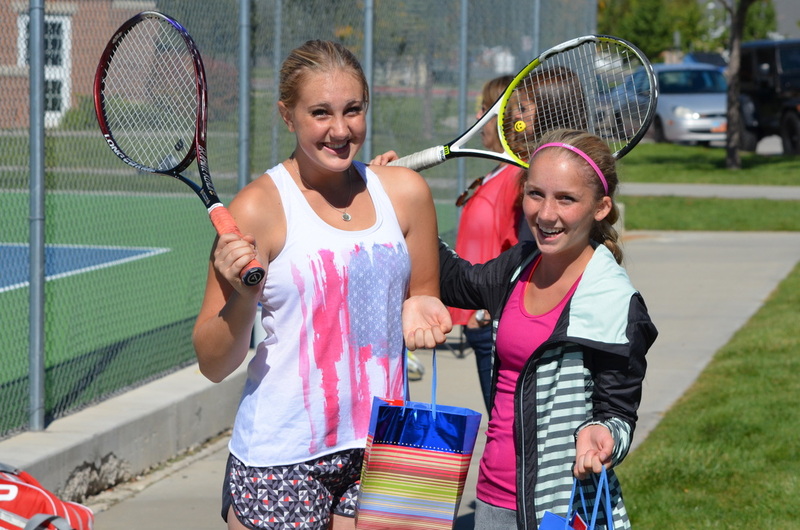 When Julie went to the Orem High Ladies’ tennis parent team meeting in August, she began adding up the number of seasons she and Roland have been attending team meetings, watching matches, and driving to tennis tournaments. Between Jared, Kathryn, Emily and Rachel, we have thoroughly enjoyed 10 consecutive years of high school tennis, and a few more beyond that if you count junior high. It’s a bittersweet farewell after Rachel finished her senior season this fall and we said goodbye to tennis (Daniel will probably go a different athletic route). Emily lived in Chelan, Washington for the first three months in 2013 for an accounting internship. She worked with the properties of arithmetic every day, and became an expert in bank reconciliations, saying no to alcohol served with meals, and sharing the gospel. 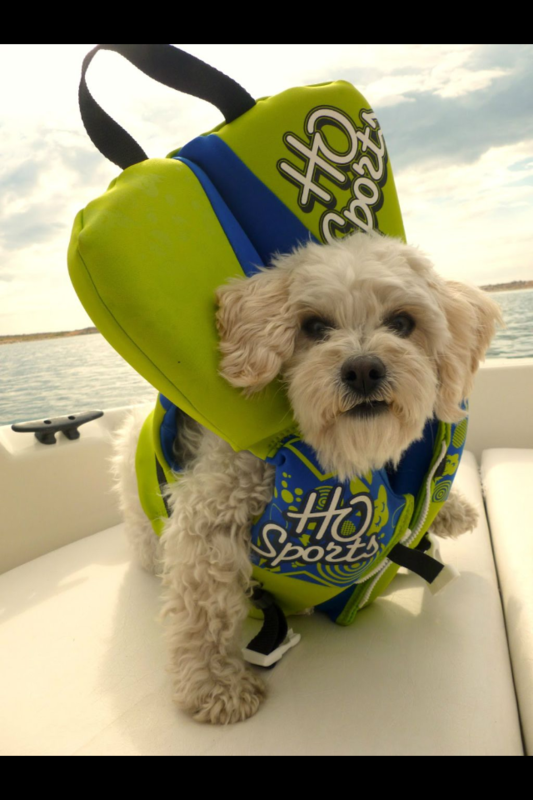 Jared also works with numbers everyday at his job at Vivint, supervising 85 employees. 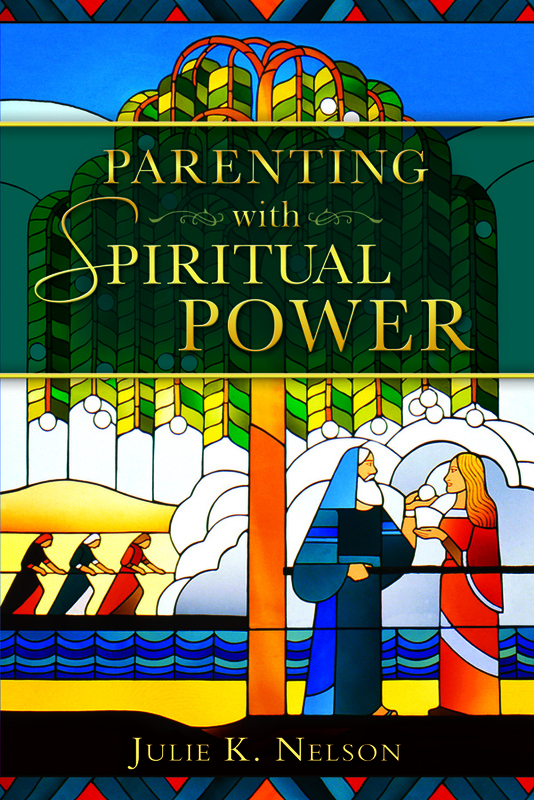 Julie added a few accolades to her professional life and has had to divide her time and attention among many demands since publishing her book, “Parenting With Spiritual Power” in March. She received the UVU Faculty Senate Teaching Excellence Award, has been featured in or written for various news sources such as Parenting.com, The Wall Street Journal, KSL.com, Family Share, and Deseret News; she is a regular guest on BYU radio and will be interviewed on KSL TV this month. If you are still looking for a great Christmas gift, her book is available and she hopes to strengthen families, relationships and especially give parents confidence in raising children through her endeavors. 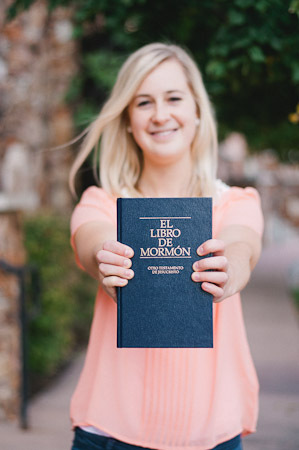 There was nothing more exciting this year than Emily’s decision to serve a mission, her mission call to the Mexico City Northwest mission, farewell talk in sacrament meeting (where Julie’s former mission president, Elder Hammond, also spoke—who had been an area authority over Mexico City among other places), and her entry into the MTC in November. She will be serving a few miles from where Jared served so we can add two missions to Mexico for the Nelson children! We love her letters and count the multiplying blessings each day from her service. This was the year for subtracting organs (bodily ones, not the musical instruments). As Emily received her mission physical, we were informed she was born without a left kidney. Random! Daniel underwent surgery to remove his tonsils and adenoids, Rachel had an emergency appendectomy and Kathryn had her wisdom teeth removed (that’s 8 missing body parts if anyone is counting). Serious money was deducted from our bank account as well. October was a busy month for the three Nelson men (Roland, Jared, Daniel). Daniel was ordained to the priesthood by his dad and brother and they took a fantastic, male-bonding trip together back east to all the historical sites in Washington DC, Philadelphia, Mt. Vernon, Monticello, Gettysburg, and Civil War sites. It was a trip of inestimable value. 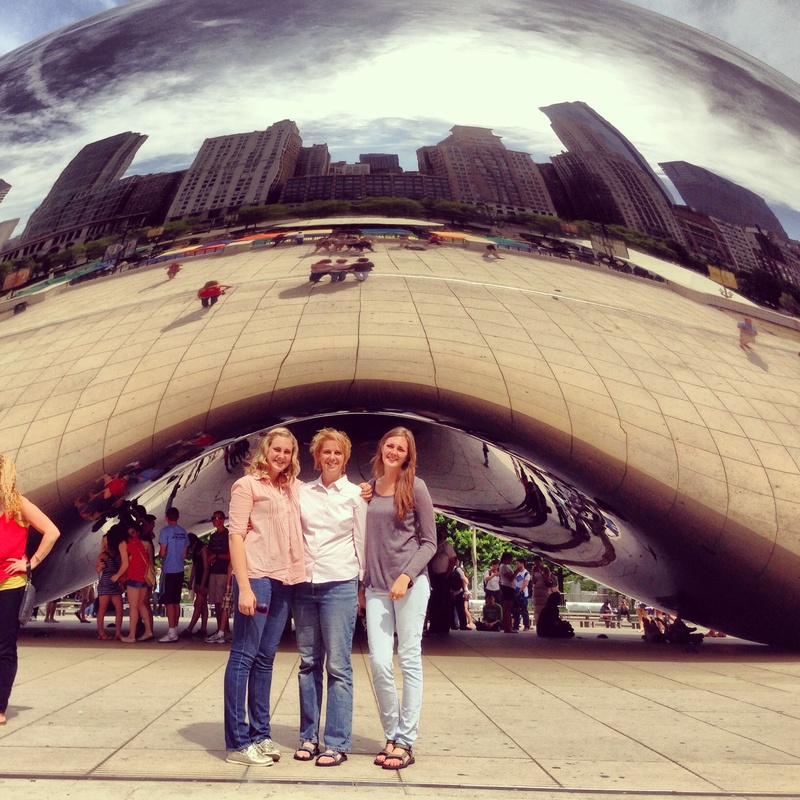 Not to be left out of the equation, the three girls (Julie, Kathryn and Rachel) vacationed in Chicago to visit museums, the zoo, restaurants, ride the architectural riverboat tour, and shop. We’ve been there a lot, and it has become a favorite city of ours. 100% awesome. We were even interviewed on the local TV channel for eating at a pizzeria that was voted #1 in the US. That’s two TV appearances this year if anyone is counting. Count up to 50 and that would be the number of years the Corvallis, Oregon stake has been organized. We traveled home for the 50th anniversary in July and were happy to see family and friends we hadn’t seen for many years. Additionally, we enjoyed a great time at the Oregon Coast for the Nelson family reunion. Fifty is also the prime number for Roland and Julie. It equals their ages they turned this year. They are both feeling middle-ageish, a bit nostalgic about the past, more sanguine about the future, and sorrowful seeing children leave the nest. Next year, there will likely only be one child left at home. 5-4=1. That subtraction is an equation we don’t like the sum of. Story problem: Bishop Nelson was travelling from work to home (2.5 miles) at the rate of 45 miles per hour. A monster storm was travelling at 200 miles per hour in the opposite direction pouring a deluge of rain over Utah County. How many hours before he would make it home to find members of his ward with 2 feet of water flooding their basements? Well, who can ever figure out those dang story problems anyway? You get the idea, but in case you had to know: the basements were flooded in about 30 minutes but he was detained for 2 hours before he could return. Roland has been bishop for about one year (rounding down). He continues to serve faithfully and divides time with many competing demands between work (BYU) family and church. Due to stress, he has subtracted pounds and added some grey hair. Our family’s admiration has multiplied for his devotion to his family, faith, neighbors, and God. At the end of this abundant year, we add our witness that God loves His children and keeps His promises: “And inasmuch as he is faithful in keeping my commandments, which I have given unto him, I will multiply blessings upon him and his seed after him, even a multiplicity of blessings” (Doctrine and Covenants 104:42). Merry Christmas and may you feel the peace of the season. P.S. We DO have 3 males in our family although none are represented this year in photos. Sorry! It was a miscalculation on our part.